We work closely with trusted boiler manufacturers like Vaillant, Baxi, Ideal, and Worcester amongst others to provide reliable heating solutions. Our engineers take pride in their work and are focused on precision, detail and quality service. We will not let you settle for second best service when we can provide the best boiler services. Eco Efficient Dundee boiler services guarantees safety and reliability. This is because professionals carry out our services. We combine friendly pricing with the finest workmanship for utmost satisfaction. If you have an already fitted in boiler, we can help you to upgrade or offer reliable advice so that your boiler can last for long. As boiler installation specialists, we are placed in the best position to help you identify the most suitable boiler that suits your financial circumstances. Eco Efficient Dundee carries out professional installations everyday without compromising on the standards. If you need a new boiler installation, we will replace or install it the same day after our technical survey. We have different warranty types depending on the type of boiler that you choose. In case of maintenance or repair service, you are not held responsible for the costs. There are many kinds of boilers, so you need to know the boiler that suits your needs. Old boilers had a simple design which consisted of a permanent pilot and a burner in a box. Today, boilers are advanced with designs that suit different needs. As we help you with your installation, our main focus is making sure that you find the boiler that meets your unique needs. Having being in the heating industry for more than a decade, our experience in boiler installations, repair and maintenance gifts us with the authority to help you decide on the best boiler to install. Your daily routine and heating needs are among the factors that we use to determine the right boiler for you. Our boiler installers are Gas Safe registered. Not only have they being trained, but they are also qualified to professionally install, service or repair any type of boiler. 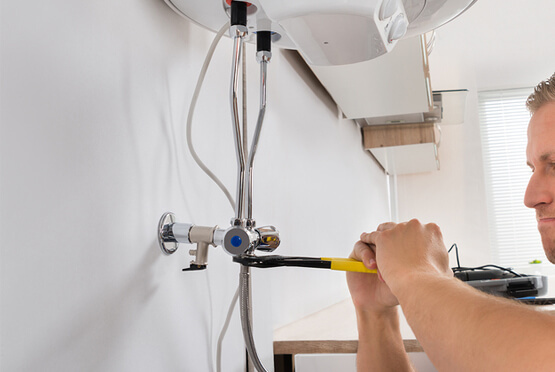 With our emergency boiler installation service, our engineers are available day and night. We are friendly and always happy to give free advice on boilers. When new engineers join Eco Efficient Dundee, we place them under probation during which we take them over extensive boiler training to prepare them on how to provide quality service. We have the expertise and knowledge that assures the best boiler installation services anywhere. We have built a good reputation in Dundee through reliable services and hard work. This is why we are the number one choice for homes and commercial areas in need of bespoke installation services. Eco Efficient Dundee unmistakable quality heating services are available in Monifieth, Longforgan, Monikie, and Tealing. Do not allow inexperienced engineers to install your boiler; you will soon start looking for a repair specialist. Contact Eco Efficient Dundee for your installation needs and bid repairs bye for years.